Prior to becoming a Wedding Consultant, I was a successful Children’s Party/Event Planner in San Antonio, Texas for over 8 years. I hosted over 850 Birthday Parties, Girl Scout Program Events, Playdates, Baby Showers, and MOPS’ Teas. It turned into a great business for my needs and continued to grow year after year. What was great about this business is that I worked when I wanted – you get what you put into it! I eventually hired a crew of employees so that I could do more parties a weekend. Sometimes I did up to 5 a weekend! It was a fun job and I loved putting smiles on all the children’s faces. Parents were amazed by how well behaved the girls were. It was not your typical pizza party where kids are running around crazy. These girls learned what it was like to be a princess and that is exactly the way they behaved….JUST LIKE A PRINCESS! It was such a rewarding business for me and is still going strong here in San Antonio with a new owner. I was a stay-at-home mom when I thought of this business idea and I grew it into a lucrative money making business as the years went by. Can you believe I started out by hosting the party all by myself? I packed for the party, set it up, hosted the party, cleaned it up and then went home and cleaned more there. When I finally hired my first employee I said to myself, “What was I thinking, I should have done this long ago!” Now it is my turn to tell you all the secrets of this business and what I learned along the way. If you have been dreaming of starting your own children’s party planning business here is the perfect opportunity to learn, IN DETAIL, everything you need to know on how to start and run a children’s party planning business. 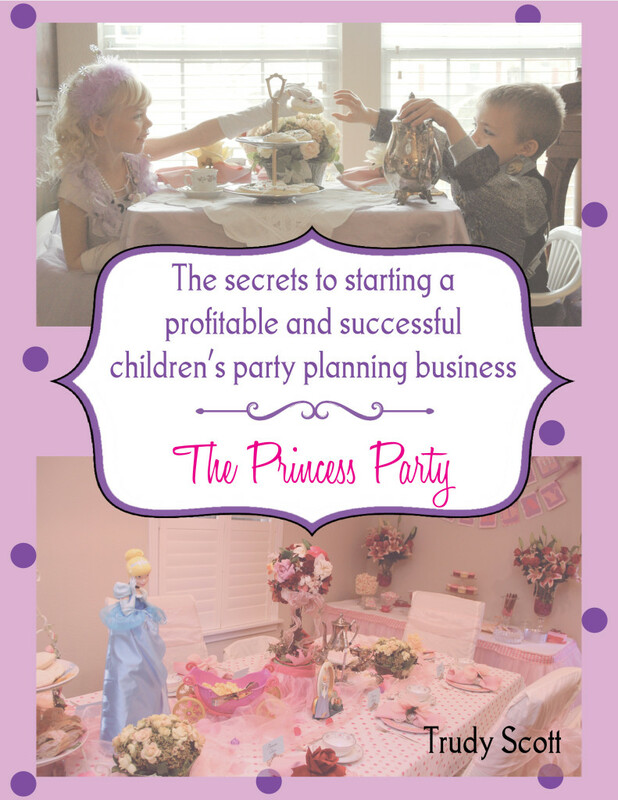 I have created a VERY DETAILED e-book listing all the specifics of this business in general and then took it a step further and gave details on the Princess Party I had created. I had the parties down to a tee and knew exactly what I needed to do with spending the least amount possible. I will be writing more e-books soon and talk about my other party options, Girl Scout parties and the Glam-To-Go Trailer I renovated into a unique party experience. CLICK HERE TO ORDER YOUR COPY ON AMAZON KINDLE FOR ONLY $34.95! !